Recently I sat down with a group of friends to watch the 2015 film Terra. I’ll start from the very beginning by saying that the film was nothing like what I was expecting based on the trailer and what I’d been told. For those of you unaware, Terra is a documentary that explores humankind’s changing relationship with the planet and how we have become more isolated and distant from nature. Terra is both visually stunning as well as being what can only be described as a spiritual experience as the story unfolds throughout the course of the film. 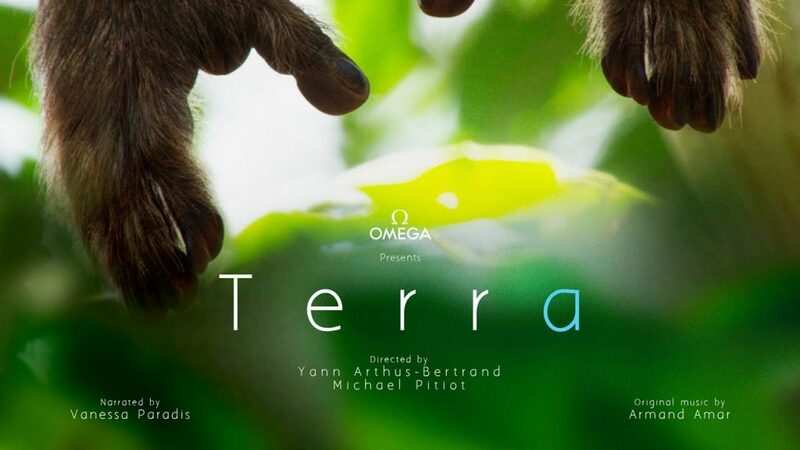 Terra is the brainchild of Yann Arthus-Bertrand and Michael Pitiot, first being released in French before arriving on Netflix with an English narration. I don’t think this is an issue, as the subtitles will still be able to capture both the beauty and ominous message delivered within Terra. The film begins with a colony of Black-and-white colobus monkeys exploring their natural environment. There is then a sudden contrast of a troop exploring a tea plantation that has replaced the primary forest they once lived in. This short sequence foreshadows the continuing theme throughout the rest of Terra, swinging between the light and the dark – just as if it were the fur of the colobuses. The second half of the film, shows the way that humans are changing the planet and in the process damaging the environment. There are some very moving scenes of animals being slaughtered or suffering mixed in with stunning cinematography of the natural world. Deep down, this causes the watcher to ponder your own ethics and behaviour, trying not to feel like the monster humankind is being betrayed as. I would certainly recommend the film to a friend (and I have done) as it helps to reconnect the watcher with the natural world whilst also evaluating what you can do to help reduce your impact on the planet. A warning to anyone who does watch the film, there are graphic scenes of slaughter and death throughout!